The Academy is being developed as a new initiative and will be the lead site in Donegal for medical education at undergraduate and postgraduate level. It will include a Centre for Research, which will be carried out across a range of areas relevant to the clinical needs of the people of Donegal and the north-west of Ireland. The Academy will operate in partnership with the National University of Ireland Medical School Galway. The new building offers the opportunity to accommodate a growing number of post-graduate medical trainees, nurses, midwives, therapists, medical scientists and full-time medical students from NUI, Galway, fully integrating modern technology and interdisciplinary practices into our curriculum. 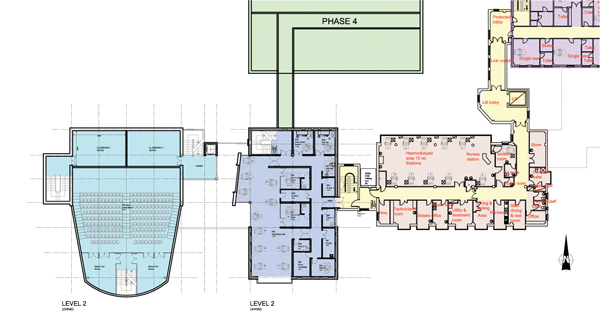 The building itself will incorporate an auditorium, class rooms, surgical technical skills and simulation labs, informal learning spaces and dedicated rooms for small group learning. It will also incorporate laboratories and research facilities. With this new development the Donegal Clinical Research Academy will provide a focal point for sharing knowledge while embarking on new discoveries, enhancing the education of our students and ultimately providing the people of our county, region and country with greater access to healthcare professionals. 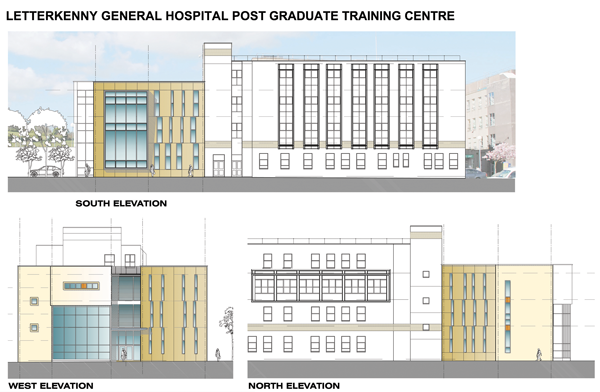 See plans for the proposed Academy below.